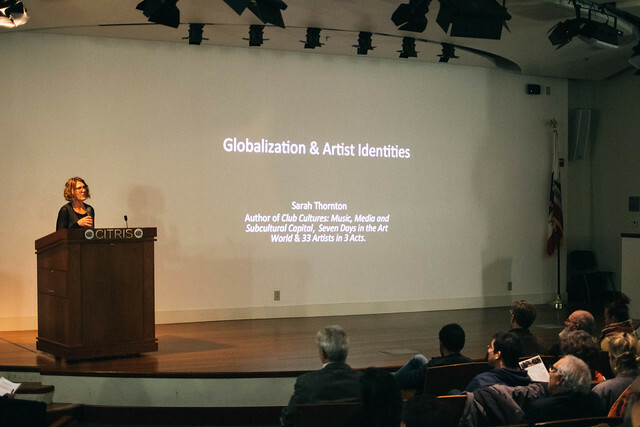 Last night, art world ethnographer Sarah Thornton discussed the increasingly decentralized art industry and how the forces of globalization are both creating opportunities for a truly global art presence while also allowing artists to use nationality and boundaries in new ways. Thornton explored how conceptual and contemporary art play with technology while pushing back against digitalization with decidedly physical works. Thornton recounted how her relationship with the art has evolved and the difficulty and importance of maintaining value neutrality in examining art.